Cats Protection is caring for three kittens that were seemingly tossed out with household rubbish. Our Ipswich Branch is looking after Scrappy, Dusty and Rusty; five-week-old kittens saved by workers at a landfill site on 6 November. 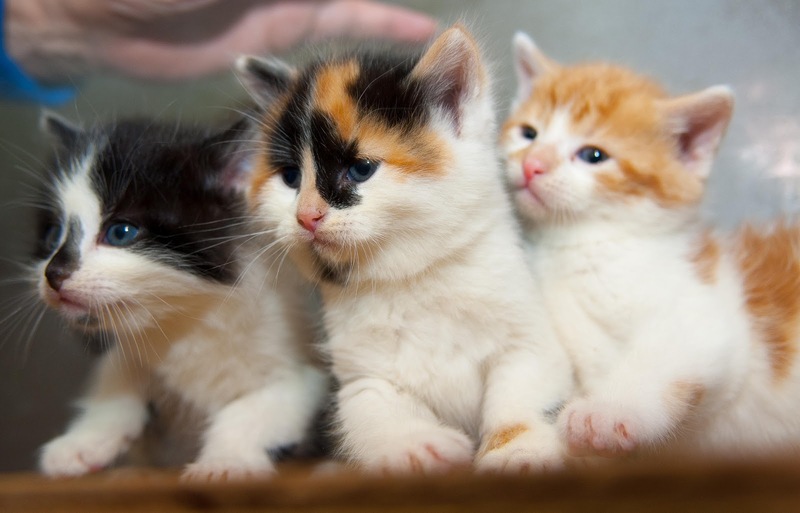 The tiny kittens were found among household rubbish by workers at Ipswich’s Viridor Foxhall Landfill site. Scrappy, Dusty and Rusty should be ready for rehoming in around five weeks’ time. If you would like to adopt the kittens, please visit www.cats.org.uk/contact-cp and complete the form, mentioning ‘Ipswich Kittens’ in the comments box. Ipswich Branch is just one of Cats Protection’s 290 branches and adoption centres in the UK caring for and rehoming abandoned and unwanted cats. Will you help us carry on the good work? To donate, please visit http://www.cats.org.uk/support-us. Thank you for your support. Surely the workers are able somehow to pinpoint where the wheelie bin came from and then steps can be taken to prosecute the person who put these poor kittens in the bin in the first place? I'm so glad they're OK and wish I could rehome them all. How could anyone do this??? I agree with Potaika they must know where the bin came from. Glad they are okay now. Sadly, anyone could have put them in the Wheelie bin - probably not the owner of the bin. See a convenient bin and stuff the kittens in it. Very sad, but don't see how you could find the culprits. thats so sad but so lucky the little critters were rescued! Absolute morons that just dump them anywhere, but the shelters are to blame because in many cases they always say they are full up with cats/kittens and have to put you on a waiting list, I do understand that but sometimes people cannot cope and know shelters will not admit found animals straightaway and feel embarressed they dont want them and not having neutered their pet, so shelters should make it clear to people rather than just dump them anywhere to leave them outside a cats protection centre, otherwise many who are dumped will stray and the whole cycle starts again with kittens being born. Hi there, thanks for your comments. Unfortunately, many cat shelters, including our own branches and centres are full to bursting with cats and kittens and so in some instances do have to introduce a waiting list. They are limited in the number of cats they can care for by the number of volunteer cat fosterers they have, and by the number of people willing to adopt cats, which has decreased in the current climate. That is why our neutering work is so important -there are more cats in the UK than people wanting to home them and that is something we as a charity are addressing. There is never an excuse for dumping cats - whether that's near one of our centres or not. Cats and kittens fall ill and even die very quickly if they are exposed to the elements without proper shelter, food and water. In all cases, we would advise cat owners to get their cats neutered at four months or younger (before puberty). CP can help with the costs for those on low incomes. If owners have not had their cats neutered and an unwanted litter is born, we would advise them to contact their local CP branch and care for the kittens until owners can be found. Our helpline can advise on kitten care 03000 12 12 12. The only monsters on Earth are humans! How can someone be that heartless?!!! Could you tell me what's happen to those cuties?